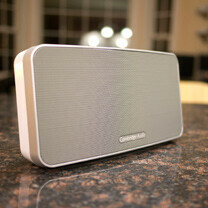 Without skipping a beat, the folks over at Cambridge Audio brought to us yet another speaker to our front door – the Minx Go Portable Wireless Speaker. 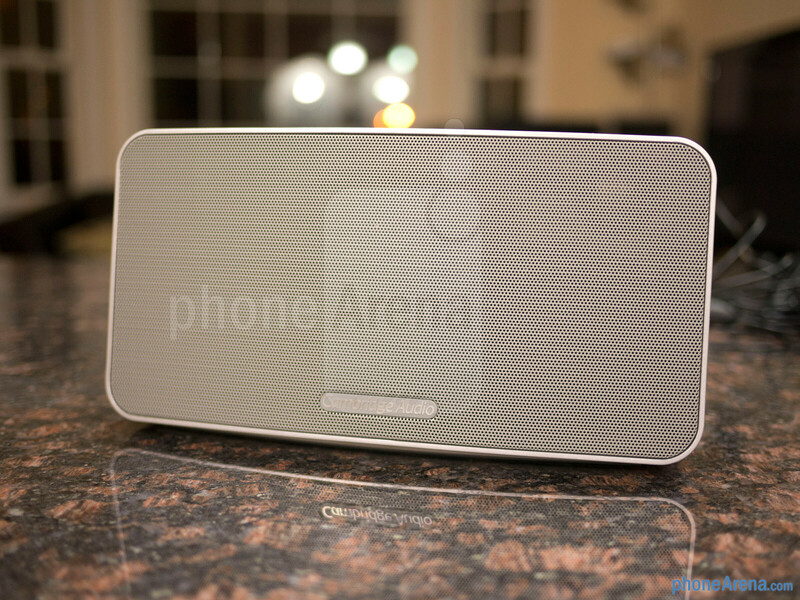 Right out of the box, it instantly reminded us of a mini version of the Minx Air 100 speaker that we just recently reviewed, but looks can always be deceptive. 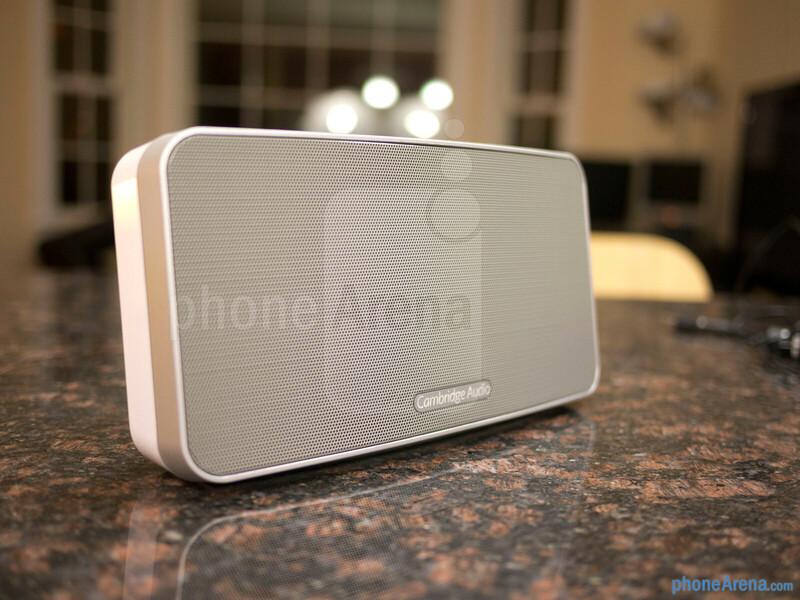 Rather than being a stationary speaker like its close sibling, the Minx Go is a portable and travel friendly version that’s able to raise a few brows from the onset thanks to its rated battery life of 18 hours. 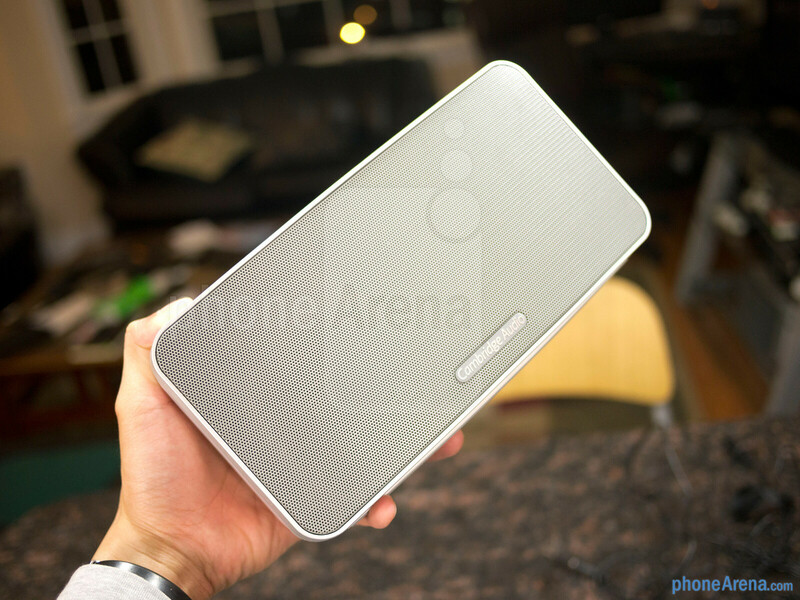 Naturally, it’s going to need more than ample battery to be recognized as a contender in the space. Will you look at that? 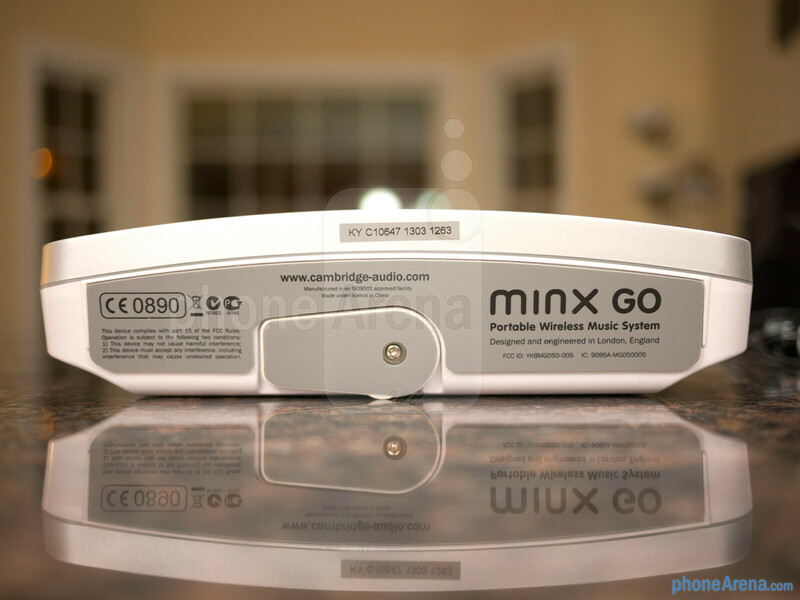 The Minx Go employs the same exact design style as the Minx Air 100, which isn’t the most profound design per se, but heck, we’re enamored by how significantly more compact it is. Actually, we’ll stick to the argument that its design is rather conventional by today’s standard. Despite that, we’re glad to report that its build quality and construction are top notch in every way imaginable. Sure, it’s constructed out of plastic and flaunts an all too casual grey/white color scheme, but it’s the sturdy variety that maintains a slick and clean look at all times thanks to its scratch resistant high gloss lacquer. 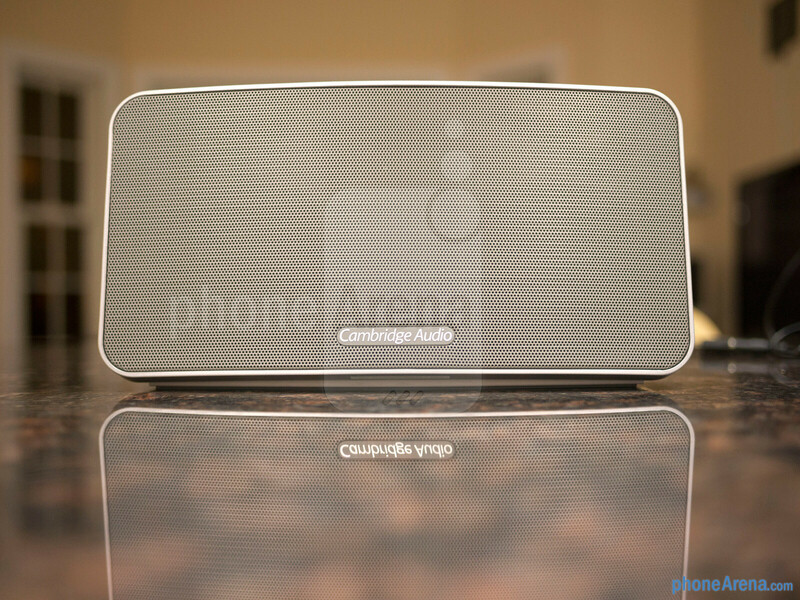 Showing off its love for its products, the speaker features an acoustically damped construction, which in layman’s term means that it’s designed to minimize vibration and distortion – so at higher volumes, it’s not going to produce those strained high pitched tones that irritate our ears. Taking up the entire area of its façade, the mesh grill gives the speaker a uniform appearance, but behind it, the Minx Go utilizes a 5 speaker array to produce its tones. Specifically, it’s broken down to 2 titanium tweeters, twin 2-inch woofers, and a rear-mounted bass radiator. 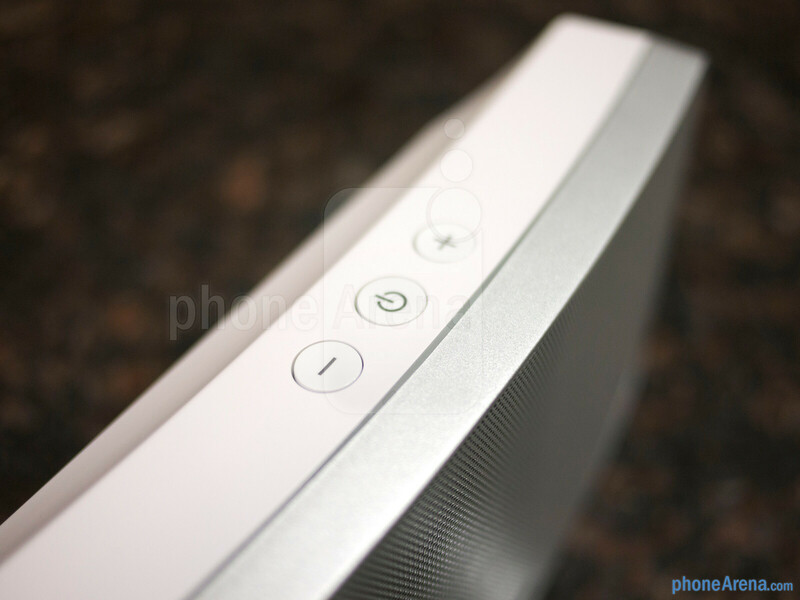 Sticking to simplicity, there are three recessed buttons (volume down, power on/off, and volume up) on the speaker – and they’re all located on the top ridge. 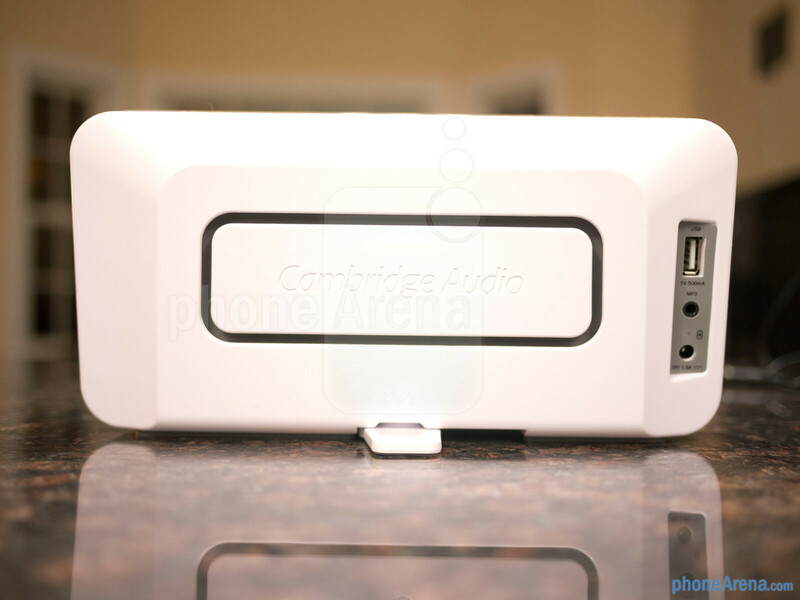 Unfortunately, it lacks controls to forward or reverse a song, but its power button doubles as the pause/play function. 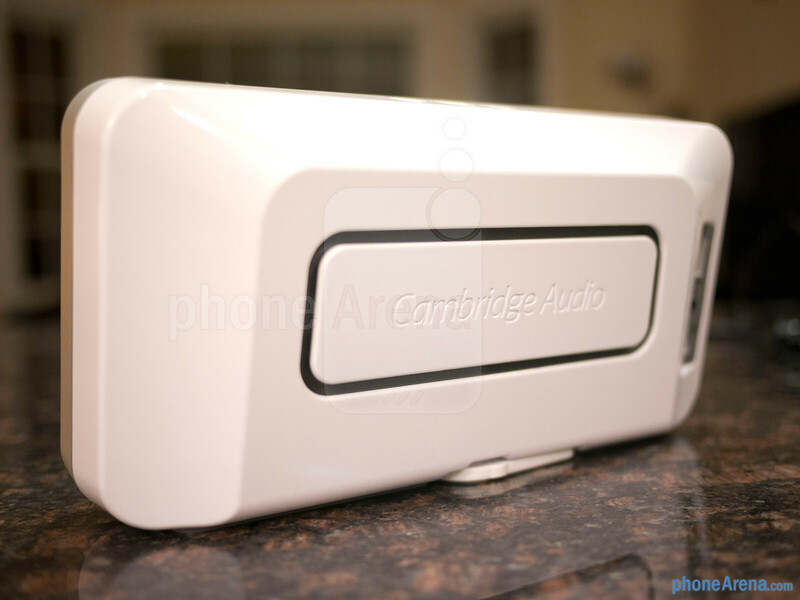 Around in the rear of the speaker, the Cambridge Audio brand name is encased in a rectangular border, which is actually where its bass tones pump out of. Nearby, there’s a full-sized USB port that enables us to top up our devices on the go, but it’s not enough to bring them back to 100 percent capacity if they’re drained. 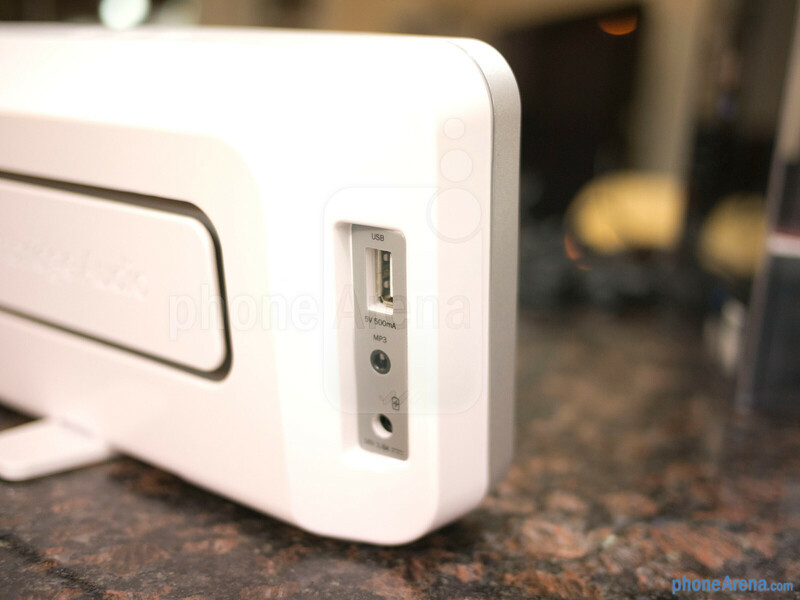 In addition, we also find its auxiliary-in and proprietary charging ports. 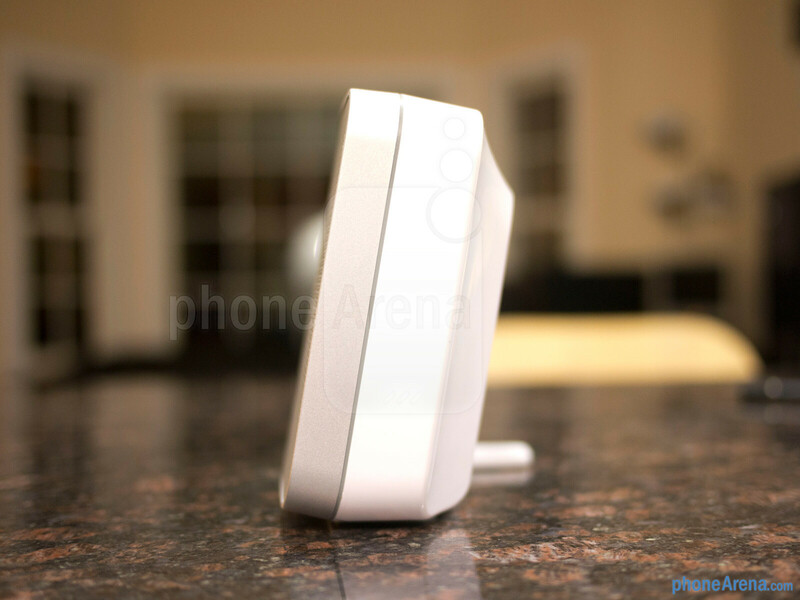 Depending on what surface we position it on, there’s actually a kickstand that swivels out from underneath to give the speaker some additional balance. Whereas the Minx Air 100 featured AirPlay and Internet Radio support on top of Bluetooth, there’s nothing like it on this model, sad to say. 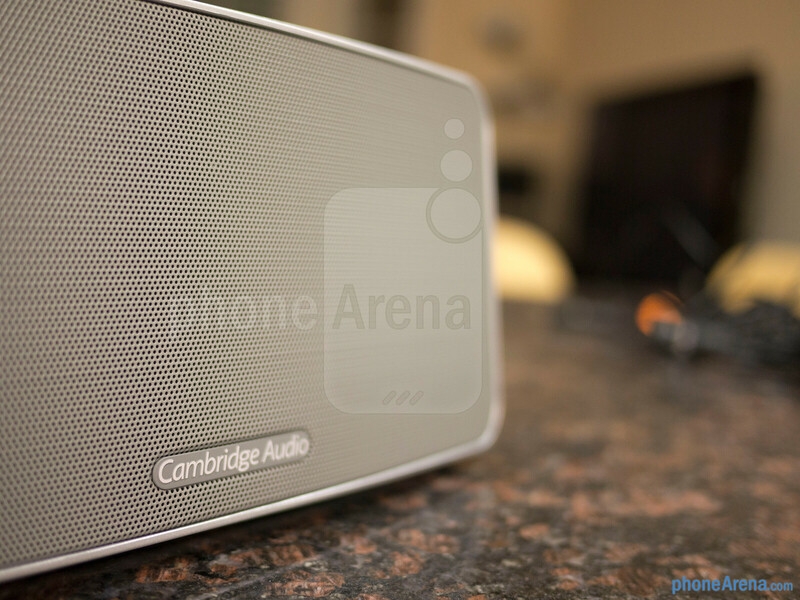 Certainly it would’ve been nice to see something, anything really, but heck, we gather that the team over at Cambridge Audio wanted to focus on two specific aspects with the Minx Go – superb audio quality and longevity with its battery life. 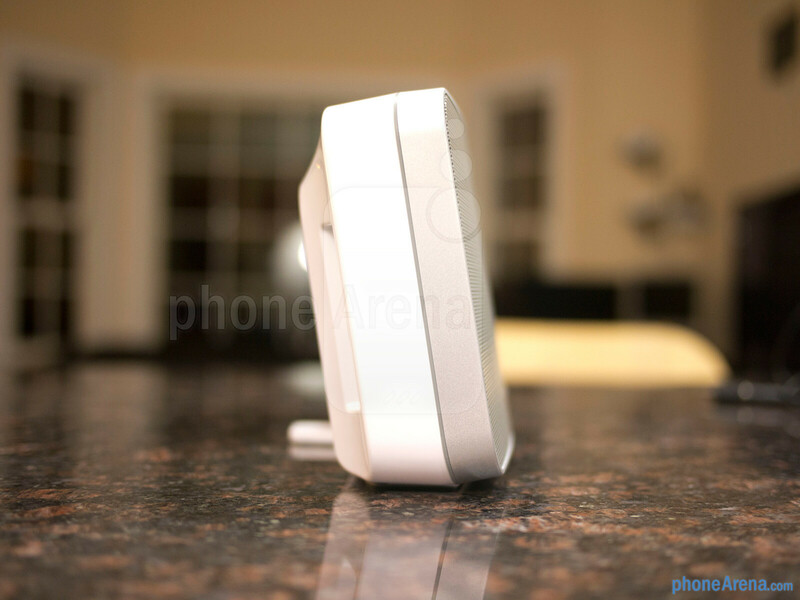 Pairing the speaker to phone via Bluetooth is a simple procedure, which is done by simply holding down the power button down until it blinks rapidly – indicating that it’s in pairing mode. As for connectivity strength, it’s able to grasp hold onto a solid connection as far as 25 feet from our device, which in our case is a Samsung Galaxy S4.